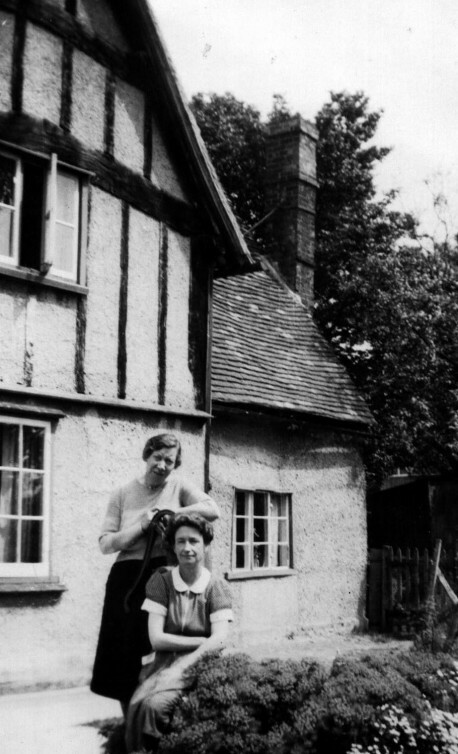 View images of some of the people who have lived in this house over the years. Click on any of the images to see a larger version. 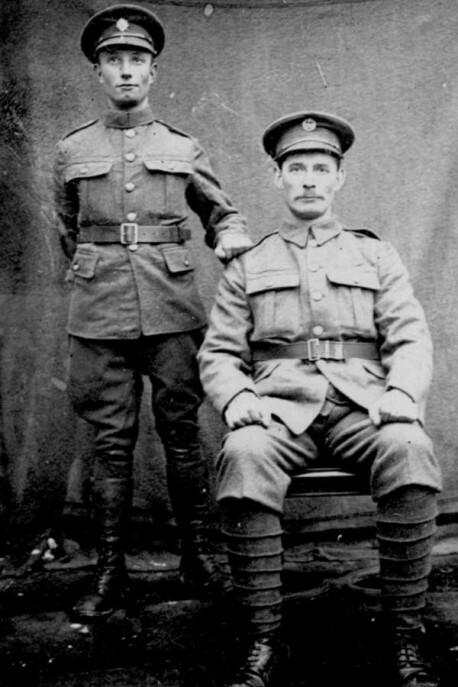 James Walker “Dad Jim” with his son Hubert at 28 Shillington Rd. 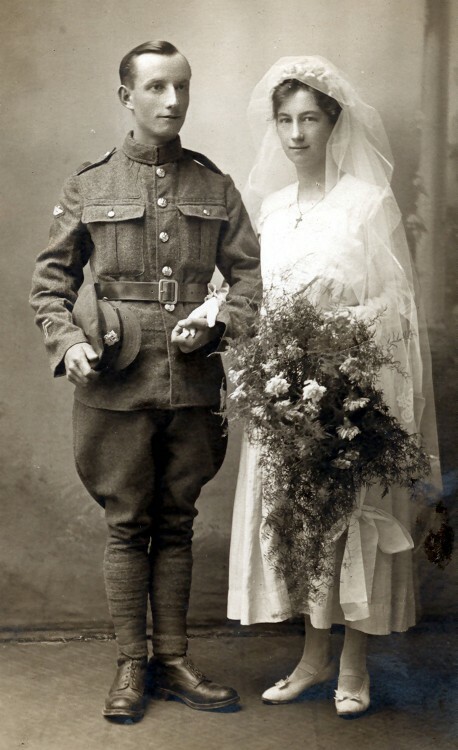 Tom Lake and Miriam Weedon married in February 1917. 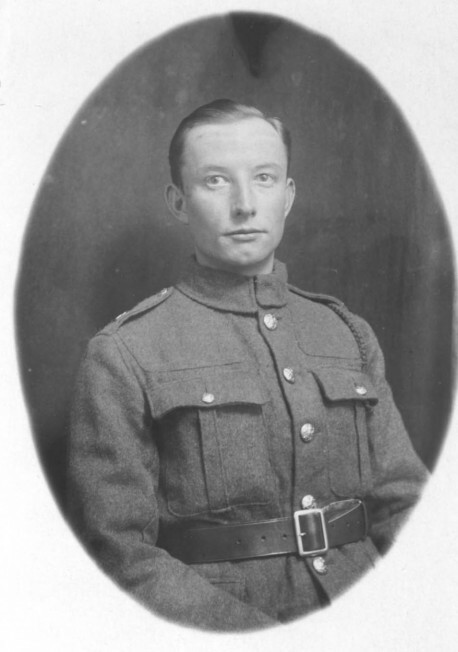 Tom Lake was in the first World War. 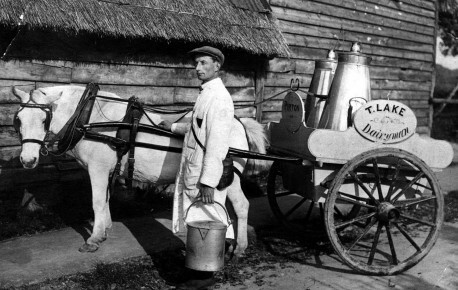 1926 Tom Lake, Pirton’s first milkman, with his churns, pails and measuring jugs. 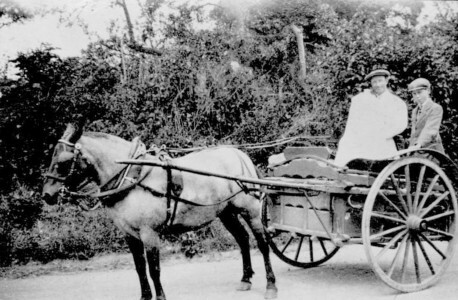 He delivered milk twice a day as there were no fridges to keep milk cool. 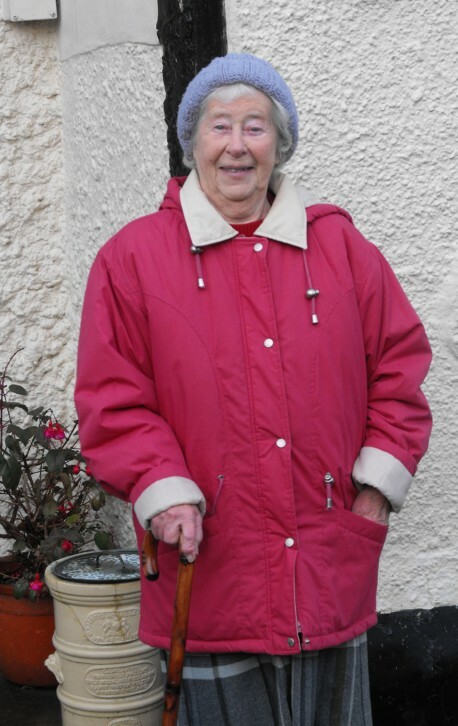 Milk was “straight from the cow” and was not pasteurised as is now required by health legislation. 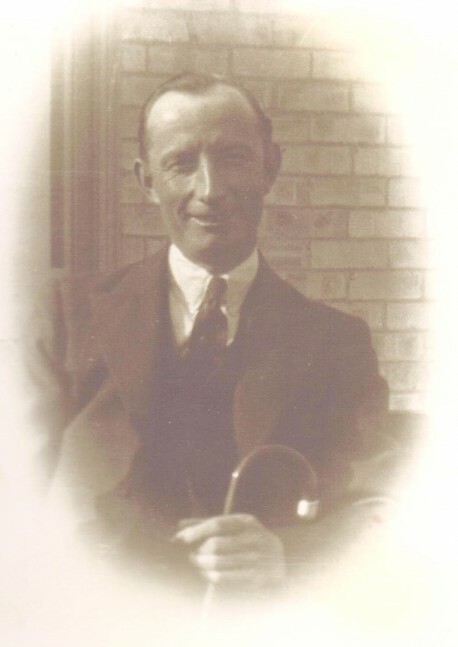 Tom Lake died young following a stroke in 1943. Miriam Lake and Alice Abbiss. Not sure who the people are. 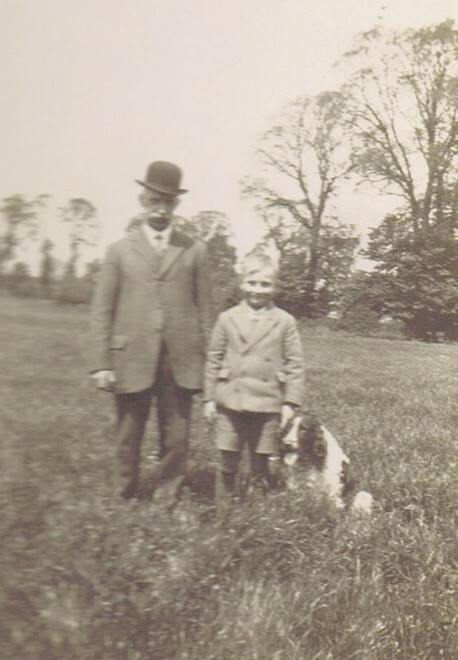 George Weedon and his grandson Bernard Lake.The picture is taken in the middle of the meadow behind 28 and 30 Shillington Road. The tall foreground trees on the right are elms, which died from Dutch Elm Disease in the 1970s. The moderately tall trees beyond them are pear trees in the old Wright’s Farm orchard. 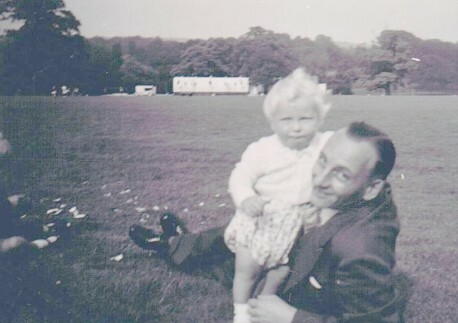 The bushes just to the left of George’s right elbow are brambles on the corner of the orchard, where the meadow boundary makes a dog-leg and the culvert under the meadow comes out, wrongly marked as a spring on the Ordnance maps. 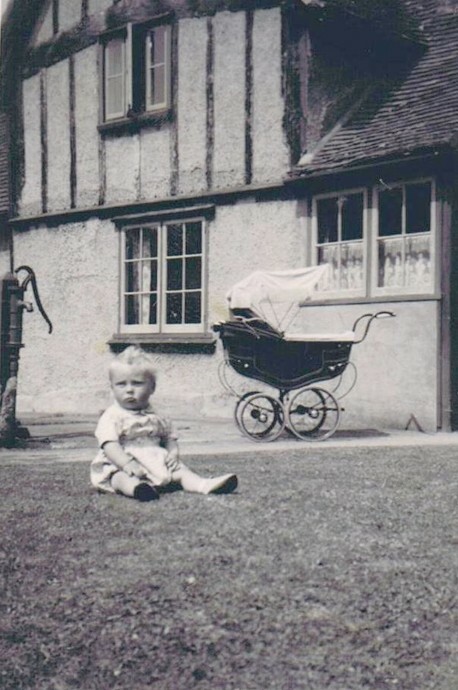 Stephen Lake outside his grandma’s [ Miriam Weedon ]house. 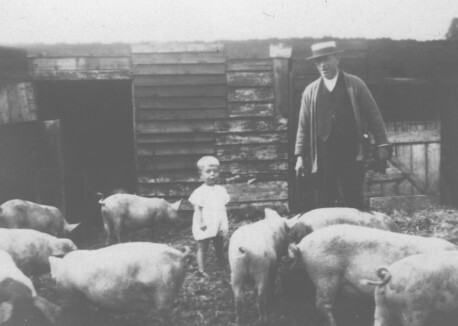 Bernard Lake, Tom and Miriam’s son, holding his son Stephen. 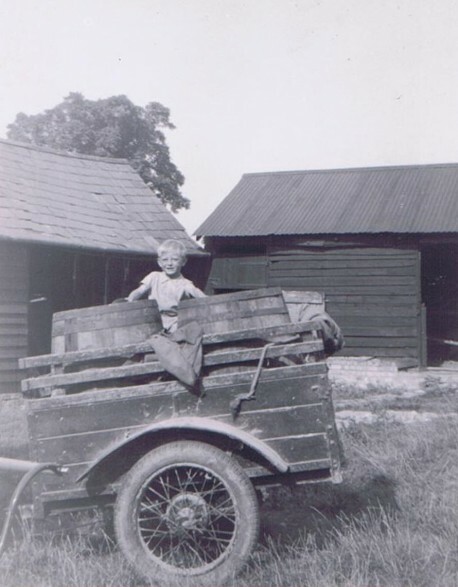 Christopher Lake in the cart in the farmyard of 28 Shillington Rd. 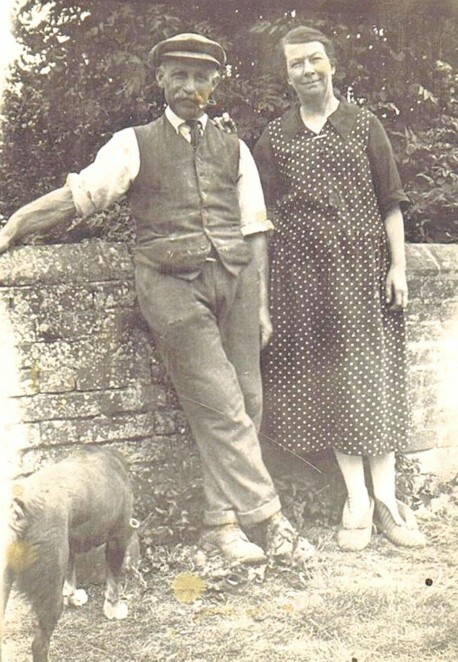 Nora Lake , Bernard’s wife who lived at 28 until her own house was built next door.